In 2013 the number of drone strikes to hit Pakistan fell to the lowest levels of Obama’s presidency: 27 strikes reportedly hit the country’s tribal areas, down from a peak of 128 in 2010. And for the first time since Pakistan strikes started in 2004, there were no confirmed reports of civilian casualties. The changes reflected growing opposition from within Pakistan, as both the political and military elites were publicly critical of the strikes. In Yemen, by contrast, at least 11 civilians including 4 children died in confirmed drone attacks. This steep rise from previous years was despite the number of confirmed strikes halving since 2012. The US continued to enjoy the Yemeni government’s support for attacks on al Qaeda in the Arabian Peninsula (AQAP), now viewed as al Qaeda’s most active and dangerous franchise. In Somalia, al Shabaab, an ally of al Qaeda, regrouped after heavy defeats in 2012 and continued launching attacks. 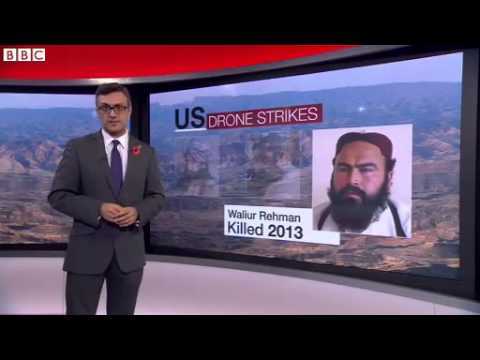 A drone strike and two commando raids took place. The Obama administration continued 2012′s trend of limited transparency around drone strikes. Both Obama and his new CIA director John Brennan publicly discussed the use of covert drones, but the administration remained tight-lipped on key data including casualty numbers. Officials almost always refused to discuss individual strikes, and where they did it was usually anonymously. The administration expressed an intention to move drone strikes from the CIA to the Pentagon, but at year’s end many drone strikes – including the Pakistan campaign – remained under Agency control. Ben Emmerson QC, the UN special rapporteur on counter-terrorism, announced details in January of an investigation for the UN into drone strikes. Emmerson told the Bureau the investigation is ‘a response to the fact that there’s international concern rising exponentially’ around drones. He published an interim report in October. Drones were a key topic when John Brennan, sometimes described as the ’architect’ of Obama’s drone policy, faced questioning from the Senate Select Committee on Intelligence in February as part of nomination proceedings for the role of CIA director. He told the committee: ‘The CIA should not be doing traditional military activities and operations.’ Days before, a leaked memo outlined the legal justification for targeting US citizens. The American Civil Liberties Union called the memo ‘a profoundly disturbing document’. In March, Ben Emmerson visited Pakistan, where government officials told him drones had killed at least 400 civilians, and possibly as many as 600. In the country’s elections, both Nawaz Sharif’s PLM-N party and Imran Khan’s PTI made opposition to drone strikes a central part of their campaigns. The elections were blighted by violence as the Taliban attacked political gatherings. US news agency McClatchy obtained documents in April showing the CIA’s own assessment of drone strikes in Pakistan. They showed drones were used to kill Afghans, Pakistanis, and ‘unknown’ militants, despite US assertions that drones only target senior al Qaeda members. The documents also showed that a June 2011 claim by Brennan that no civilians were killed in ‘almost a year’ was false. Journalist Farea al-Muslimi told US Senators of the impact of drones on his native Yemen, days after a drone attacked his village, Wessab. General James Cartwright, the Pentagon’s former second-in-command, warned the US had ‘ceded the moral authority’ through its use of drones. Also in April, a UK defence minister revealed British pilots had been flying drone missions as part of the US military under an ‘embedding’ programme, and Britain’s first drone base opened at RAF Waddington. President Obama delivered a high-profile speech in May defending his administration’s targeted killings. But he acknowledged that civilian casualties had occurred, describing them as ‘heartbreaking tragedies’. The administration outlined new policy guidelines, including a requirement that strikes are not carried out unless there is ‘near-certainty’ no civilians are present. The US attorney general acknowledged the deaths of four US citizens in drone attacks under Obama – only one of whom, Anwar al Awlaki, was the intended target of the strike. Awlaki’s 16-year-old son, Abdulrahman, was among the others. He was killed two weeks after his father in 2011. Yemen-based journalist Adam Baron reported that a 10-year-old named Abdulaziz was among those killed in Yemen in a strike on June 9. Months later, the Los Angeles Times revealed the CIA had secretly briefed Congress on the child’s death. The Bureau published a leaked Pakistani document in July showing the tribal administration’s assessment of over 70 drone strikes between 2006 and 2009, including 147 civilians. In August the Bureau published a major field investigation revealing the CIA appeared to have briefly revived its controversial tactic of attacking rescuers – first exposed by the Bureau in February 2012. The Bureau identified five attacks on rescuers over three months in the summer of 2012, several of which appeared to be the result of efforts to hunt al Qaeda’s second-in-command, Yahya al Libi. The Bureau launched a new project, Naming the Dead, in September, aiming to identify those killed in CIA drone strikes in Pakistan. At launch it featured the names of over 550 of an estimated 2,500 or more killed in strikes. Just two of those names belonged to women. Al Shabaab launched an attack in Nairobi, storming the Westgate shopping centre. It occupied the complex for four days, killing up to 61. Two UN experts presented reports to the General Assembly in October. Both criticised the lack of transparency surrounding drone operations and questioned some of the legal justifications for covert strikes. The following week, Amnesty International and Human Rights Watch simultaneously published field investigations into civilian casualties in Pakistan and Yemen. In November, six months after Obama’s speech on drones, a Bureau analysis found that the rate at which people are killed in each strike on average, and reported civilian casualties, were both higher in the six months after the speech than in the six months before. In Pakistan, a CIA strike killed Pakistan Taliban (TTP) leader Hakimullah Mehsud and a separate attack hit Pakistan’s ‘settled’ Khyber Pakhtunkhwa region. In protest, Imran Khan’s PTI named a man it claimed was the CIA’s station chief in Islamabad, and blockaded a NATO supply route into Afghanistan. In December the UK invited reporters into its drone base at RAF Waddington in the east of England as part of efforts to increase transparency, but continued to withhold data including casualty data and information on where and when strikes took place. In Yemen, AQAP launched a huge attack on the Ministry of Defence in the capital Sanaa, claiming there was a drone operations room inside the building. An estimated 52 were killed, including foreign medical staff in a hospital near the ministry. It later apologised for the civilian deaths. The following week, 6-15 civilians were among up to 17 people reported killed when a US military drone attacked vehicles in a wedding convoy. It was the worst single loss of civilian life in a drone strike in Pakistan, Yemen or Somalia in over a year. The annual casualty rates – the average number of people killed in each CIA drone strike, in Pakistan, 2004-2013. As well as seeing the fewest strikes since 2007 and the fewest civilian casualties ever, the casualty rate – the number of people killed in each strike on average – fell to 4.2, the the lowest yet recorded. This is less than half the casualty rate in 2009, the first year of Obama’s presidency. Obama has now been in office for five years and has launched 330 strikes according to the Bureau’s count. President Bush launched 51 drone strikes, all during the last five years of his presidency. Under Obama, the casualty rate has been lower – 6.5 people killed in each strike on average, compared to 8 under Bush. The civilian casualty rate is 76% lower under Obama – 0.8 civilians killed per strike, compared to 3.3 under Bush. Several possible factors could be behind these declines, including reported improvements in technology since the early years of Bush’s covert drone strikes, rising tensions between Pakistan and the US over the drone campaign, and increasing scrutiny of the covert drone campaign by the international community as well as Washington and Islamabad. The annual casualty rates for confirmed US drone strikes in Yemen, 2011-2013. There were 15 confirmed US drone strikes and at least 15 additional aerial strikes that may have been carried out by drones. This was a steep decline from 2012′s peak, when the US launched 29 confirmed drone strikes as it joined a Yemeni government effort to push AQAP out of territory it had occupied in the country’s south. Nine of 2013′s confirmed drone strikes took place during a fortnight in late July and early August, after the US reportedly intercepted top-level communications between AQAP and other terrorist commanders. The US and some European allies closed more than 20 embassies in Yemen and across the Middle East and east Africa in anticipation of a possible attack, a move one counter-terrorism expert called ‘crazy pants‘. Officials told the Washington Post and New York Times that the guidelines on targeted killings introduced in May could be relaxed ‘in response to elevated threat’. At least three civilians, including two children, were reportedly killed in the fortnight’s attacks. And on December 12, 6-15 civilians reportedly died in an attack on a wedding procession in Radaa. Sources later told the New York Times the strike was carried out by a US military drone, although they did not acknowledge reports of civilian casualties. Two UN experts later called on the US and Yemen to account for the reports of high civilian casualties in the attack. The casualty rate – the number of people killed on average in each confirmed drone strike – fell by a third compared to 2012, from six people per strike to four. But the civilian casualty rate has more than trebled, from 0.2 civilians killed per strike to 0.7. This is the highest annual civilian casualty rate yet recorded in Yemen. The increase in the civilian casualty rate is partly because in previous years, attacks with high civilian casualties have been carried out by other weapons, or have not been confirmed as drone strikes. For example, a strike in December 2009 that killed more than 40 civilians was carried out by US cruise missiles, not drones. And in September 2012 a US air strike killed 12 civilians. Anonymous US officials belatedly confirmed the US military carried out the attack but it is still not known if a drone or manned aircraft was used. Al Shabaab staged a resurgence in 2013. It launched ambitious attacks including September’s brutal siege of the Westgate mall in Nairobi, and a June attack on the heavily fortified compound of the UN Development Programme in Mogadishu, killing up to 22. In July a UN report found that al Shabaab is the country’s biggest threat to security, retaining control of ’most of southern and central Somalia’. The US and UK are ‘increasingly involved in directly supporting intelligence services in “Somaliland”, “Puntland” and Mogadishu’,the investigators added. French commandoes launched a failed attempt in January to rescue a spy held hostage by al Shabaab; at least 27 died including eight civilians. And following the Westgate mall siege, US special forces launched a pre-dawn raid in October on an al Shabaab compound. However, the troops quickly aborted the mission as they encountered stiff resistance and unexpectedly found women and children in the compound.